Phil passed away peacefully in his sleep early on the morning of May 26, 2015, after a long battle with Parkinson’s disease. He was deeply loved by so many people and will be remembered for his big heart, kind spirit, generosity, intelligence, creativity, and competitive drive. Phil was born in Fort Wayne, Indiana, in 1940, the beloved and loving son of Lois and Irvin Schilling and younger brother to Susanne (whom he adored and vice versa). He grew up in nearby Huntington, active in the 4H and helping raise Shorthorn cattle on the family farm from the time he was in elementary school. After high school, Phil earned a BA in history from Northwestern University and then pursued a doctorate in American history at the University of Wisconsin, Madison. It was during his time in Madison that he developed an abiding interest in motorcycle road racing and moto-journalism. Phil was teaching at the University of Wisconsin in 1970 when Cook Neilson, Cycle magazine’s editor in chief at the time, asked him to become the magazine’s managing editor. Thus began a friendship and partnership that would last for some 45 years. In addition to their work with Cycle, Cook and Phil are best-known for giving Ducati its first AMA Superbike win in the United States during Daytona’s Bike Week in 1977 (Cook riding, Phil tuning) on a bike that is famously known as “Old Blue”; even more impressive, they accomplished this as privateer journalists racing against the much-better-financed factory-sponsored competition. Some years later, Phil organized a lower-profile but no less rewarding 250 two-stroke racing program, sponsoring and tuning for a string of talented young riders. Cook and Phil chronicled their racing efforts in the pages of Cycle and are largely credited with introducing Ducati motorcycles to the American motorcycling public. Taking a short sabbatical from his magazine duties in 1974, Phil wrote The Motorcycle World (RidgePress/Random House), one of the first general-interest books about motorcycles and motorcycle racing. Phil’s Cycle editorship began in 1979 and lasted for nine years during which time he was known for connecting his readers to the heart of the motorcycling experience. Phil leaves behind his wife and life partner of 35 years, Allyn Fleming; sister Susanne and her husband Jim Paul; nephews Tim Paul (Melissa), Jon Paul (Roberta), and Ryan Chiment; niece Hannah Fleming; and Andrew Murphy and family. 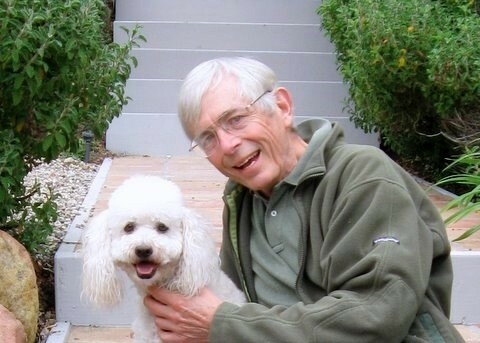 Phil will be deeply missed by all those friends and family who love him so much, including the many people he generously mentored, the extended Schilling/Leonhardt family, the entire Fleming/Toney clan, and beloved dog Buddy. Deep and profound thanks go to Phil’s four devoted caregivers who brought love, dignity, joy, and peace to his final months and days and to Serenity House and Santa Barbara Visiting Nurse and Hospice Care, particularly Janet Murphy for her skilled and compassionate care.